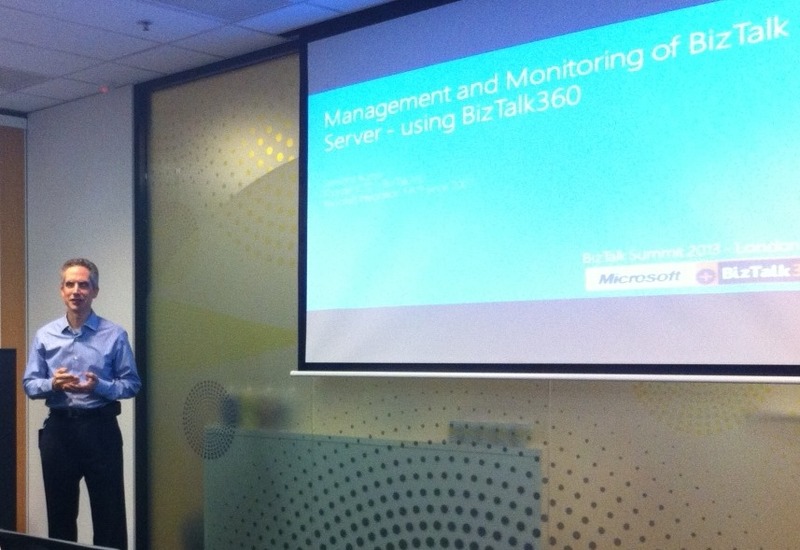 Tonight I set out to present a 45-minute discussion and demonstration of BizTalk360 to the Brisbane BizTalk User Group. An hour and a half later, I was still answering questions and displaying in-depth features of the product! We’re a pretty small & intimate group, so there was plenty of opportunity for discussion and catering for specific requests (“Can I see how … works?”), which for me as a presenter is awesome. I love interaction because you know you are really reaching your audience (small or large) and addressing their interests & concerns. The truth is, they were truly impressed with the power and flexibility of the product, despite the limited scenarios that I was able to present to them. Saravana and his team have really hit the mark with this release, addressing a critical void in the BizTalk operational support area. Looking forward to Version 7.0! Only downside was that I barely had time left to present my second session for the night, new features of BizTalk 2013! Oh well, I don’t think Microsoft needs too much help in selling that product anyway!